We’re your full-service printer offering colour printing and copying, large format printing, bindery services, and more! Our friendly and experienced staff will help you through the printing process, even if you’re a first-timer. Be sure to check out our specials. We hope to see you soon for all your printing needs! 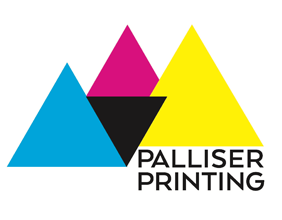 In the Columbia Valley and area, Palliser Printing is known for having a wide variety of high quality printed products and services. Since 2003, they have been supplying the Valley with full-service digital printing. Large format for the construction industry, Rack cards for the tourist industry, stationery for businesses and promo items for marketing tools. The friendly staff at Palliser Printing makes every effort to ensure that their customers always feel welcome whether in the print shop, over the phone, or through the website! With digital printing, turnaround time can be instant for those last minute “we forgot” projects – we will do anything to make sure your project is delivered on time – we have a 10+ year history of this philosophy! Why do so many choose Palliser Printing? Experience: Palliser’s owner and staff have years of combined experience to share with their customers and help them create their printing projects. Technology: Palliser continually updates their technology and equipment to meet the ever changing needs in the print industry. Value: Palliser offers great printing at very competitive pricing. Service: Palliser’s commitment is for open communication and great customer service offering suggestions to make all projects the best they can be. Reliability: Palliser’s consistency in producing great products at the right price, on time, every time makes them one of the most reliable printing companies in the East Kootenay. Columbia Valley Chamber of Commerce Business of the year 2003, Nominated top 3 every year afterwards. © 2009 Palliser Printing Ltd., Invermere, BC.